It is time for another Anything Goes Challenge here at 7Kids!! We had so many beautiful entries last week and we thank you very much!! It was so much fun celebrating our 100th anniversary! Our theme this week is embossing! I think embossing always adds great pizazz to any project. I used both dry embossing and heat embossing on my project this week. 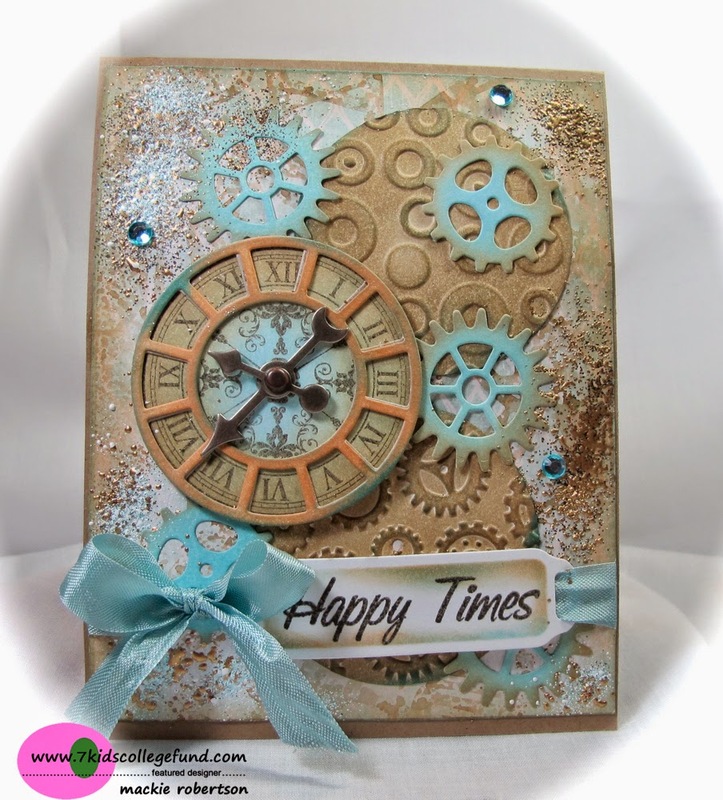 I used the beautiful Timeless stamp and matching Die-Namics from My Favorite Things. As you can see, I dry embossed 2 background circles. I rubbed Versamark ink on the rim of the clock and then heat embossed it with clear embossing powder. It is hard to see this in the photo. All of the clock pieces and gears were inked with Tumbled Glass, Frayed Burlap and Tea Dye Distress Inks. The background panel has been stenciled with water and Tea Dye Distress ink and the Clockwork Stencil by Tim Holtz. Most of this has been covered up by the clock pieces and the white and gold fran-tage. It looks really cool IRL. The tag was made with a Spellbinders Ribbon Tag, which was inked around the edges before I took it out of the die. This gives the tag that soft framed look around the sentiment. And the final touch...pretty ribbon! Hopefully you will be inspired to try some embossing on your next projects! 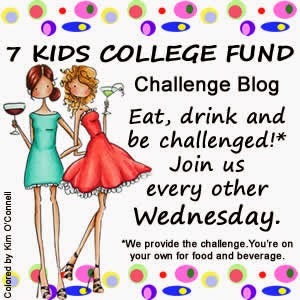 And join us with our new Anything Goes Challenge!!! Gorgeous card Mackie! Love all the gears and inky details! The textured background adds an awesome touch! Thanks for the inspiration! Wow Mackie!! Love the movement, texture and depth to this awesome design! Very nice card - love the die and texture!!! Jaw dropping fabulous!!! Love the background, dies, and all the texture with lovely color! One of my favs...love it!! !